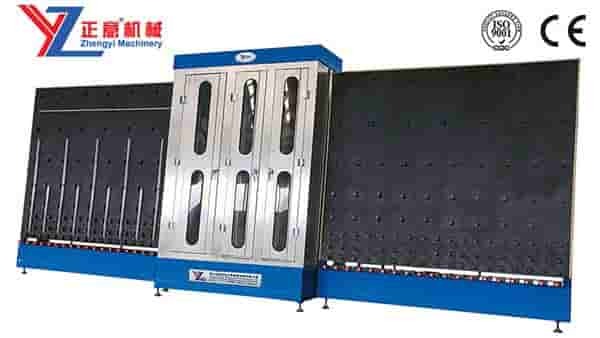 This series glass washing machine is special designed for tempering line, laminating line, floating, coating and Low-e glass. 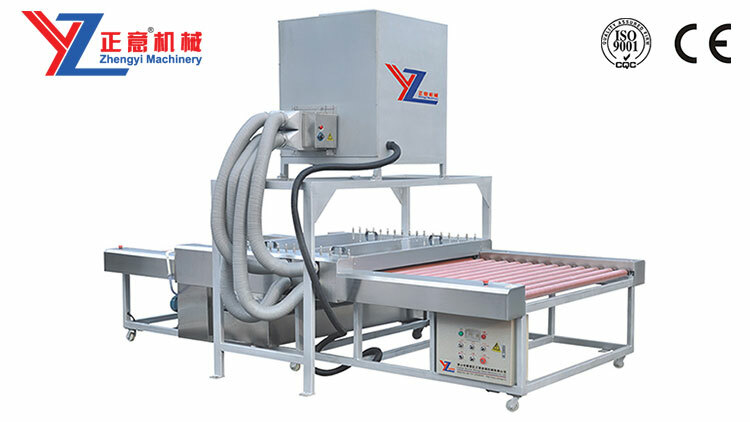 It combined function of three step washing, used with frequency device driving system, which is easy to wash different size glass. Washing area installed with stainless steel or other special treatment steel. 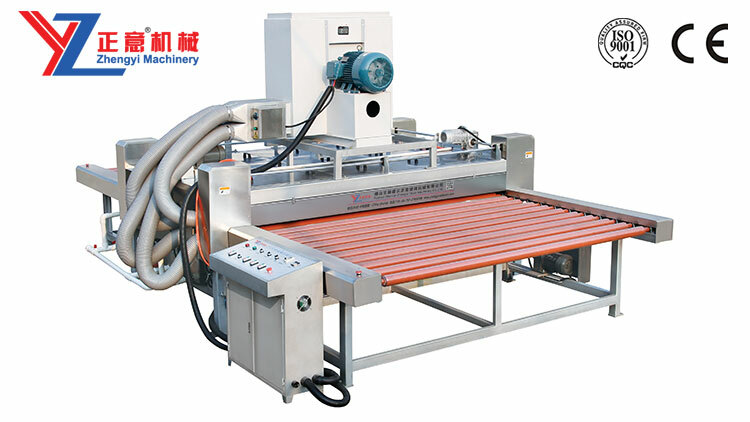 Optional for hard and soft brusher device, which is special designed for hard LOW-E glass washing. Machine can be design according to customer requirement. 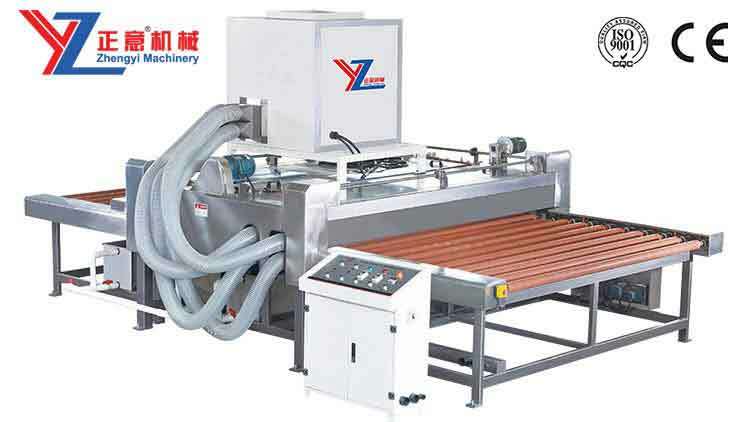 Notice: For this machine, except the frame of machine body is made by Iron, other air-knife\Machine guards(cover)\water tank all is used by stainless steel. 1.1. Glass delivery speed can be adjusted by frequency device. 1.2. Upper sector can be elevated by 350mm as a whole so that cleaning and maintaining is very convenient. 1.3. Brush rollers are moved by motors separately. Three pairs brusher equipped with machine. 1.4. Two pairs air-knives cut, the blower equipped with muffle cotton and air feeding filter screen pack ensures plenty of air, less noise and the good drying effect. And the whole blower is installed in the studio upper with cleaning & drying at the same time lifting, do not take up a production place. 1.5. By introducing overseas advanced technology, machine is produced based onItalyglass processing techniques. Machine installed heating water function, so that can remove oiliness from glass. 2.2. 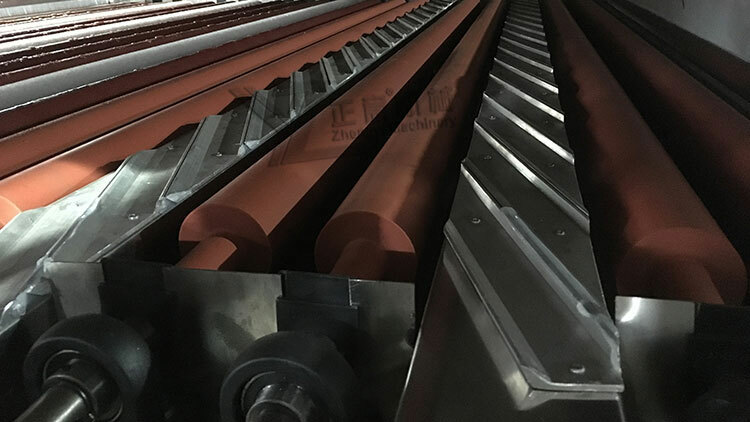 Water touching section and air-knives adopt stainless steel materials, including shaft of roller, end of brush and whole washing area. 2.3. The blower equipped with muffle cotton and air feeding filter screen pack ensures plenty of air, less noise and the good drying effect. 2.4. Washing and drying section can be elevated automatically by 400mm. 3.1. Control electronic apparatus is domestic famous brand. 3.3. Thickness is adjustable and digit-displayed.